Quench your thirst with a local frosty elixir | Audio and video stories from Southwest Washington. Spring is in full bloom here in Clark County and warmer weather is teasing us with glimpses of summer on its way! Whether this conjures up images of hay fever or frosty cold glasses of refreshing beverages, my fruity apple cider elixir recipe is a delightful, high nutrient thirst quencher. For centuries, apple cider vinegar (ACV) has been known to be one of the most nutritious health tonics worth adding to our daily diet. This is primarily due to its fermentation, as the standard American diet (SAD) is largely void of any cultured foods. While it was once sold only in the condiment sections of grocery stores, ACV has been included health supplements sections of grocery stores over recent years because of its valuable nutrients. 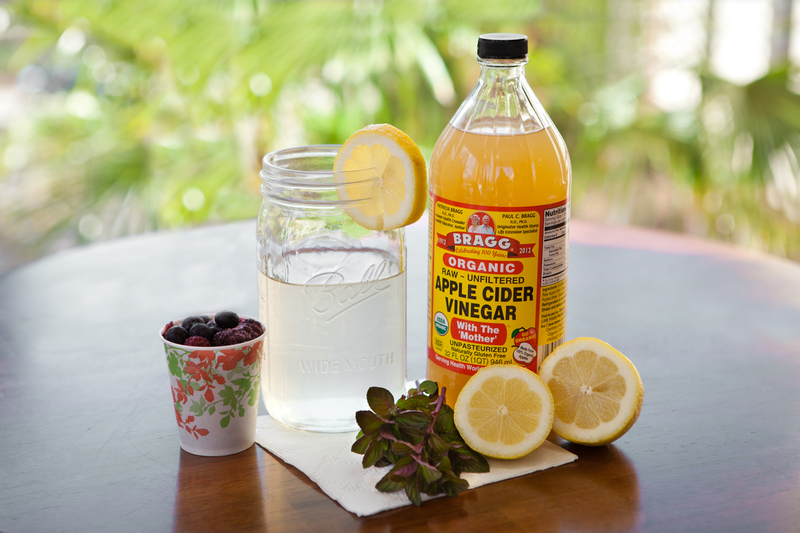 While it is most commonly used in making natural cleaning agents, pickles, and other food items such as dressings, drinking a swig or two of ACV in a beverage is one of the simplest, most effective ways to gain its healthful benefits. In other words, do not just add it to your medicine cabinet makeover list—drink it daily! What kind of ACV Should I Use? Be sure to buy the organic, raw (unpasteurized) and unfiltered version of ACV. Apples are at the top of the dirty dozen charts for being the most pesticide contaminated of all fruits and vegetables so it is wise to buy any and all apple products in their organic versions. You will know you have bought the right stuff if the glass bottle has cloudy settling at the bottom. I have heard it said that juice without clouds is already dead and the same principal also applies for apple juice. Bragg’s brand of ACV is my personal favorite. Raw, unpasteurized ACV still contains the ‘mother’ culture, which is made up of strand-like enzymes of living nutrients and healthful bacteria from a true fermentation process. Here locally in Clark County, ACV can be purchased at most of our grocery stores—Fred Meyers, Chucks Produce, Whole Foods, and New Seasons—just call ahead to be sure. Amazon.com, Vitacost.com, and other online sources are also great options for buying in bulk. ACV is a type of fermented vinegar so its potent taste may require some getting used to. That is why you will likely find my recipe below to be a more palatable way to refresh yourself. Raise a glass to this health tonic! 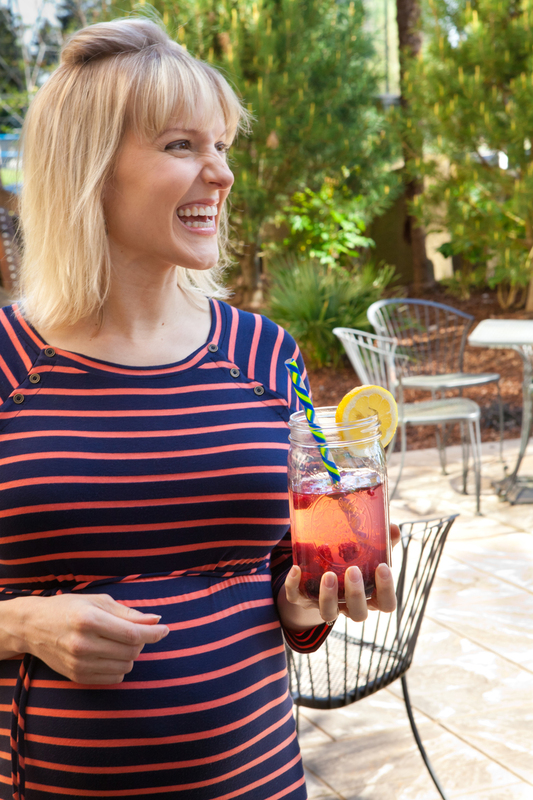 •	Your Choice of Ingredients—boost the flavor of your drink! Swap 1 cup filtered water for 1 cup of green or black unsweetened tea, some mint leaves, a pinch of cayenne pepper, a splash of juice such as POM pomegranate juice, or use a scoop of frozen berries in place of ice. Mix all ingredients and pour into a large glass. Read more about the wonderful benefits of raw apple cider vinegar on Bragg’s website.